SSL is a protocol (piece of network software) that allows secure connections to be made between computers across a network such as the Internet. SSL is an acronym for Secure Sockets Layer, a global standard security technology developed by Netscape in 1994. It creates an encrypted link between a web server and a web browser. The link ensures that all data passed between the web server and browser remains private and secure and is recognised by millions of consumers through a secure padlock icon which appears in their browser. The SSL protocol is used by millions of e-business providers to protect their customers ensuring their online transactions remain confidential. In order to be able to use the SSL protocol, a web server requires the use of an SSL certificate. Certificates are provided by Certification Authorities (CA) who in most cases also offer additional products and services to aid e-businesses to demonstrate that they are trustworthy. Consumers have come to associate the 'golden padlock' that appears within their browser display, with trust in a website. This simple fact gives e-business providers an opportunity to leverage that increased trust level to turn visitors into paying customers. All SSL connections are encrypted so you can be pretty sure the transaction details can't be hacked. When your web browser switches to a secure connection the 'HTTP' in the address bar will change to 'HTTPS'. In addition to encryption, SSL connections can use digital certificates to authenticate both computers to eliminate 'spoofing' (an unauthorised server pretending to impersonate a secure server). 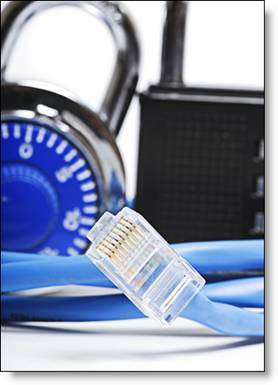 SSL Certificates are issued to either companies or legally accountable individuals. Typically an SSL Certificate will contain your domain name, your company name, your address, your city, your state and your country. It will also contain the expiry date of the Certificate and details of the Certification Authority responsible for the issuance of the Certificate. Only certificates issued by High Assurance certification authorities will actually display those company details that your customers will reply upon when making a purchase.